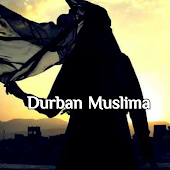 Durban Muslima: Making Every Girl’s Dream Come True! Every girl dreams of her wedding day…. The people are waiting in anticipation for the Bride to arrive …. The carriage arrives or in keeping with the times, the Limo arrives, and draws to halt perfectly next to the red carpet. The door opens, and the bride puts a Swarovski clad foot out and the crowds started to ooh and aah! Then out pops the most beautiful girl in the world ... A tiara sitting on her crowning glory, billowing white taffeta, embellished with glistening Swarovski and crystals, a face of beauty perfected and a gorgeous bouquet of the most beautiful roses one has ever seen ….. That’s the dream! In reality though, it’s a completely different story. Most girls have to save money themselves to have a decent wedding, forget about a “dream” wedding. That’s when Bella Rosa, come’s to the rescue ….. Making Every Girl’s dream wedding a Reality! From the dream dress, accessories, flowers, and even the wedding cake, Bella Rosa offers you the chance to bring your dream as close to reality as possible without the burden of exorbitant costs. Stepping into the Bella Rosa Boudoir is like stepping into the Fairy-godmother’s chamber, where Bella Rosa waves her magic wand and turns every girl into a dream princess.